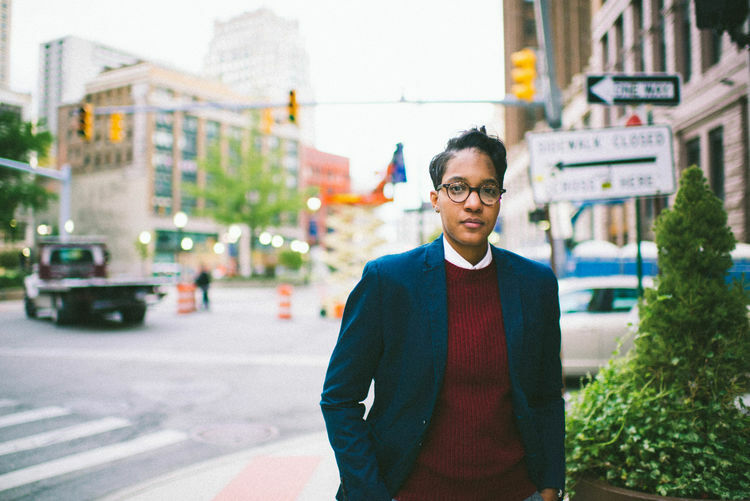 Natasha T Miller is a Detroit, MI native, performance poet, LGBTQ activist, film producer, and founder of the “Artists Inn Detroit”. Natasha has been a member of four national slam teams, starred in a national sprite commercial, a Shinola CNN ad, and she is a Women of the World Poetry Slam 3-time- top five finalist. She has awed audiences across the world at more than a hundred universities, and venues, performing in stadiums for as many as thirty thousand people. She has been featured in magazines such as vogue, entrepreneur mag, and many more. Natasha currently tours the world using her words to enlighten, create equality, and most importantly spread truth, and forgiveness in the tradition of so many great leaders before her.